These are the top wines that the panel and I have discovered so far this year. All these wines scored 92 points or better. If you want to give the wine lover in your life a top quality high end wine as a gift, try to find one of these. The recipient will not be disappointed and you will be a hero! Merry Christmas!!! Our first four wines all scored 94 points and really rock! The first one is from Spain and is a great deal at $56 per bottle. The 2009 Alejandro Fernandez “Tinto Pesquera Reserva” from Ribera del Duero is special. It is made from 100% Tempranillo. I found it to be medium to full bodied, balanced and very smooth. I loved its delicious black currant flavors with nicely integrated cedar and black plum. 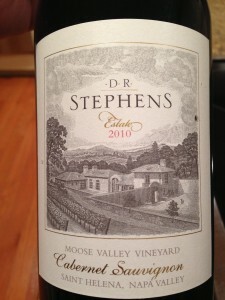 This is a terrific wine to pair with a Grill 23 ribeye steak. They made 2,500 cases, so you should be able to score a bottle or two. Our next winner is a new project led by Aaron Pott. You will find several of Aaron’s wines on this list. This project is called Dylan’s Ghost. Their 2010 “The Beast” also scored 94 points. The unique blend is combination of 34% Cabernet Franc 33% Merlot & 33% Petit Syrah. I found it to be full bodied, smooth as silk, rich and still show a sense of elegance. Its flavor profile is a concentrated blend of black currant and blackberry with notes of black pepper and mild black licorice. This wine has a Napa cult wine feel and taste at half the price of its peers. Grab some soon before it’s gone. It will not last long once the secret is out! The 2010 Buccella Cabernet from Napa Valley for $145 was a new discovery for me. This excellent Cabernet opens with a fragrant black cherry and menthol bouquet with hints of blackberry liquor and blueberry. Right out of the bottle this wine is initially full bodied, slightly acidic and juicy. However, with a little decanting and air this wine balanced out and develops a nice smooth texture. The flavor profile is a fruit forward black plum with notes of red raspberry and eventually some blueberry, blackberry, subtle minerality and oak flavors emerge to make this wine very complex. This Cab is a terrific wine and I would pair it with a filet mignon over the next several years. Our final 94 pointer is the 2010 Ramey 2010 “Pedregal Vineyard” Cabernet Sauvignon from Oakville. This very impressive Cab was our top scoring wine in our first big blind tasting of High End reds. It opens with a fragrant and inviting black currant bouquet with a hint of anise, menthol, and graphite. The panel found it to be an extremely well balanced and smooth wine. They loved its delicious black currant flavors with notes of black licorice, cherry and oak. The panel suggested enjoying this wonderful Cab with a Grill 23 dry-aged ribeye! We have six 93 pointers to tell you about. Our first is the 2010 Pina “Buckeye Vineyard” Cabernet Sauvignon for $85. This Howell Mountain Cabernet finished tied for second in our first big blind tasting. It is medium bodied, balanced, elegant and smooth. The panel loved its tasty black currant flavors with nicely integrated minerality and smoky old oak. They also detected hints of plum and black cherry. They suggested pairing this tasty Cab would pair well with Stuart’s rosemary steak treats, prime rib, or sipping alone by the fireplace. Next up is another one of our top finishers in our recent blind tasting. The 2010 Stonestreet “Christopher’s” Cabernet Sauvignon for $100 was impressive. It opens with a very interesting blueberry bouquet with hints of smoky oak and black cherry. On the palate, it is full bodied, nicely balanced, and savory. The flavor profile is a mild black currant with a gentle streak of integrated minerality. We also detected hints of blackberry as well. The panel suggested pairing this impressive Cab with a New York strip steak or braised short ribs. This $100 wine from Rioja in Spain really impressed the mini-tasting panel that tried it. The 2010 Artadi “Pagos Viejos” is made from 100% Tempranillo. It is more New World that Old World style. Our tasters found it to be full bodied, balanced, elegant, and fruit forward. Everyone appreciated its delicious juicy plum flavors with hints of blueberry, minerality and gentle oak. It finishes dry and its well managed tannins drift away nicely. They suggested pairing this wine with prime rib or even on enjoying it on its own. The 2010 Hall “Kathryn Hall” Cabernet from Napa Valley was shared with us by one of our tasting panel members. The consensus was that it is very impressive. We found it to be full bodied, balanced and smooth. We described its flavor profile as black currant with notes of integrated oak. We also detected hints of anise, mild black cherry and gentle plum. It finishes dry and its moderate tannins stick around for quite some time. Everyone agreed that this cab was made for ribeye steak. Our last two 93 pointers come from St. Helena. The 2010 DR Stephens “Moose Valley Vineyard” Cabernet Sauvignon for $135 finished tied for second in our first big blind tasting. It opens with a black cherry and cassis like bouquet with a hint of eucalyptus. On the palate, this wine is medium bodied, balanced, and elegant. The panel loved its black cherry and boysenberry flavors with hints of mild minerality and gentle oak. The finish is dry and its solid tannins build up and stick around for quite some time. The panel suggested a well-marbled ribeye steak and perhaps a cigar. Our last 93 pointer is the 2010 Spottswoode “Estate Grown” Cabernet for $145. It is midnight blue colored tied for second place with the DR Stephens in our first big blind tasting. This Cab is full bodied, balanced, and fruit forward. Its flavor profile is black currant with notes of integrated oak. We also detected hints of minerality, coffee, and black plum. It finishes dry and its moderate tannins stick around for quite some time. The panel thought this very nice Cab would pair well with braised short ribs. Our 92 pointers tend to be better deals as a majority of them are under $100. We will start off with with a great deal from Washington State. The 2010 Chateau Ste. Michelle “Ethos Reserve” Cabernet Sauvignon for $42 is unique and impressive. On the palate, this wine is medium to full bodied, balanced and smooth. It flavor profile is a tasty and unusual blend of blueberry and root beer with hints of black currant and faint oak. It finishes with moderate tannins are well managed and slow nice length. Our mini tasting group thought this Cab would go nicely with a New York strip steak with a dollop of butter on top. This is the first of three 92 point Aaron Pott made Blackbird offerings. It is list ahead of the other two because of its $50 price point. The 2011 “Arise” red blend from Napa is made from 61% Merlot, 27% Cabernet Franc & 12% Cabernet Sauvignon. This wine is medium bodied, nicely balanced and very easy to drink. I really enjoy it tasty black cherry flavors with hints of boysenberry, gentle plum, and faint oak in the background. This offering finishes with moderate fine tannins that drift away nicely. We return to Washington State for another impressive blend. The 2010 Betz “Clos de Betz” for $55 is another steal. This blend is made from 58% Merlot, 35% Cabernet Sauvignon, & 7% Petit Verdot was well received by our mini-tasting group. It is medium bodied, slightly acidic, fruit forward, and very easy to drink. The flavor profile is a tasty blueberry and boysenberry blend with a hint of minerality and a touch of oak, cocoa, and plum. It was pretty complex. The finish is dry and it moderate and friendly tannins are pleasantly prolonged. Our group thought this wine would pair well with beef bourguignon. The 2010 Paul Hobbs Cabernet from Napa for $75 was a hit with our mini tasting group. This offering is medium to full bodied, rich and very fruit forward. It displays extracted blackberry and black currant blend with notes of black licorice. We also detected a hint of boysenberry and oak. This Cab went well with our Kobe cap steak at Grill 23. The 2010 Mt. Brave “Mt. Veeder” Cabernet for $75 is full bodied, balanced, refined and super smooth. The flavor profile is a gentle mineral infused and mild black currant blend with a hint of black cherry and oak. The finish is dry and its fine tannins drift away nicely. The panel suggested pairing this impressive Cabernet with a filet mignon. An impressive wine list would be incomplete with a wine made by Robert Foley. His 2009 “Napa Valley” Cabernet Sauvignon for $86 was the clear winner of our first Cab blind tasting this fall. It opens with a very inviting black currant bouquet. On the palate, it was full bodied, nicely balanced, smooth and fruit forward. The flavor profile is a very tasty blueberry and black currant blend with notes of oak, minerality, and a hint of black cherry. It finishes dry and its substantial tannins linger for quite some time. The panel suggested pairing this terrific Cab with a well-marbled ribeye. The next 2 offerings is a pair of 92 pointers from the Alpha Omega winery in Napa. Both wines cost $92. The 2010 Cabernet Sauvignon is full bodied, extremely well balanced and smooth. Its flavor profile is a delicious black cherry and ripe black currant blend with hints of plum and some earth tones. This one finishes dry and its big tannins sail away nicely. The other Alpha Omega offering is the 2010 “Proprietary Red.” This blend is made from 59% Cabernet Sauvignon, 40% Merlot, 9% Petit Verdot, and 2% Cabernet Franc. It is full bodied, balanced and savory. Our friends really liked its tasty mild blueberry flavors with hints of oak, minerality, and dark chocolate. It finishes dry and its well managed tannins show very nice length. You can’t go wrong with either of these wines. The Chappellet “Pritchard Hill” is always one of our top high end wines. This year the 2010 Cabernet blend for $135 is made up of 76% Cabernet Sauvignon, 14% Malbec and 10% Petit Verdot. It is wine medium bodied, smooth, and balanced. The panel found its flavor profile to be a complex blend of black currant with notes of integrated minerality and hints of black plum, black pepper and gentle vanilla oak. The panel felt this impressive Cab would pair well with a wild mushroom and boar ravioli or thick cut ribeye steak. Our final suggestion is not for fans of wimpy wines. 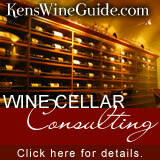 The 2010 Robert Mondavi “Reserve” Cabernet Sauvignon from Oakville runs $135 per bottle. It opens with a black currant and blackberry bouquet with hints of black cherry and menthol. On the palate, this wine is full bodied, balanced, and rich. The flavor profile is black currant with integrated notes of anise, blackberry, minerality, and oak. It finishes with big dusty tannins that build up and stick around for quite some time. This Cab is still quite young, so the panel suggests cellaring it for a while. Many of these wines are hard to find. Some fine wine shops stock up on wines like these just before the holidays. Stop by in the next few days and pick up a last minute gift for someone special in your life. You will also find several of these are still available online. Perhaps you can have it express delivered. The recipient of your gift will love receiving one of these gems. Appreciate the Kathryn Hall being included in your top Red Wine Gifts. Proud to be apart of the amazing wine team here at HALL. Thanks so much, Ken, Theresa–so glad you liked the Pedregal.